I love photographing primates. Their behavior is so much like ours — affection, maternal love, play, grumpiness, exasperation… I can watch them for hours; they’re the entertainers of the African bush! 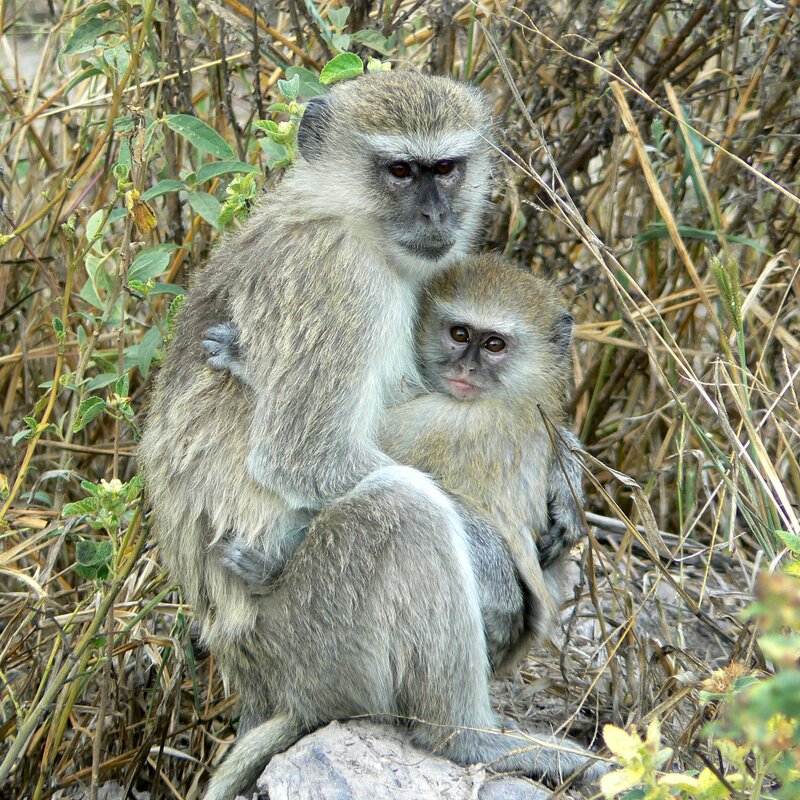 This is a photo of vervet monkeys in the Moremi Reserve of the Okavango Delta in Botswana. Because of the grizzled face on the adult female, she’s likely the grandmother or an older aunt of the youngster; they often take on babysitting duties. Primates have very strong family bonds, so it’s really common to see hugs like this, but it never gets old.